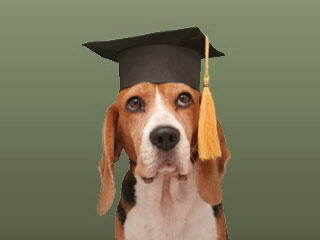 Have you been to puppy school and are you still having problems? Have you gone on-line, read books, and received information from well meaning people, and it`s not working? The largest percentage of problems with dogs arises from misinformation. At Ian The Dog Trainer we dispel all the myths and misconceptions by providing you with the tools and correct information, eliminating all the confusion so you and your family know how to care for and raise your puppy. Correct handling and conditioning during this early period is vital because it sets a solid foundation for the way you want your puppy to behave, now and in the future. Ian & his Trainers come to you and help you settle your new puppy into its new environment, with designated feeding, sleeping and toilet areas, plus the establishment of a routine to suit you and your puppy. 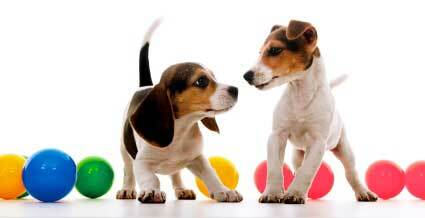 You will learn how to correctly communicate, handle and manage your puppy the right way. Biting, chewing and jumping up can be avoided. Or if this behaviour has already started, it can easily be corrected. 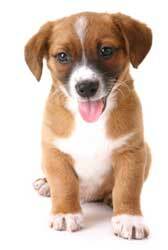 Remember, a naughty, untrained puppy, will in most cases become a badly-behaved adult dog. Start as soon as possible, and receive the right information. Your 2 hour consultation lesson is conducted at your home and will quickly get results. This is the ultimate way to learn. You will have the benefit of hands on help from a professional, at home, right where the issues occur for you and your puppy. Depending on your puppy and family situation, you may require a follow up session when your puppy matures a little more. Your Trainer will discuss this with you at the time of your consultation. The majority of puppy schools are conducted by well meaning people who are simply not skilled in how to handle a puppy or its socialisation. This can cause confusion. Unfortunately, the highest percentage of dogs Ian and his Team attend to with anti-social and undesirable behaviour have been to puppy schools. Ian & his Trainers teach you how to correctly handle and condition your puppy in realistic situations that in the long term benefits you and your puppy and you end up with a confident and happy dog. The first 18 weeks in a puppy's life is the most crucial learning period and your puppy should be trained and handled correctly in and around its own environment. You should only accept advice from a very experienced dog trainer in relation to your puppy rearing and training, taking into account your personal situation and your puppy's breed and temperament. Ian The Dog Trainer's methods produces results fast and in an easy to understand way that will provide you and your family with education and understanding. Find out what is right for you, your puppy, your lifestyle, your environment. Remember Ian The Dog Trainers' philosophy is that with a puppy, prevention is better than cure, don't wait for problems to occur, make sure they never get there in the first place. And if you have an adult dog with behavioural issues or is unruly don't worry, you can't change the past, you can only look at the present and change the future. 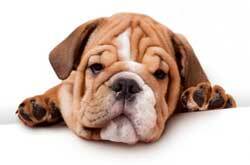 HOWEVER INCORRECT INFORMATION IS ONE OF THE MAJOR CAUSES OF PUPPY BEHAVIOURAL PROBLEMS! To find out how Ian & the Team can help you and your new puppy, call 0408 374 444 or contact Ian online. Tom was absolutely FANTASTIC. I have learnt so much more than I knew before. He is a credit to your business. I had spoken to you earlier in the week as I have two Bichons and you helped me get them to socialise together!! We are slowly getting to love each other!! !